Ms. Mandy Li Wen Fang is a registered social worker, counsellor, and registered psychotherapist. She graduated from York University with a Bachelor of Psychology and Bachelor of Social Work in 2004, and a Master of Social Work from The University of Toronto in 2010. 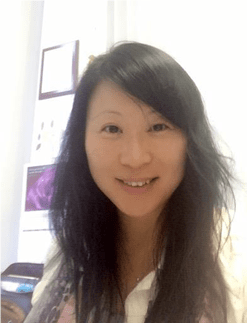 Ms. Fang has 13 years of experience serving vulnerable populations in the greater Toronto area. Ms. Fang specializes in emotionally focused therapy for marriage counselling and couple’s therapy. She aims to help couples reduce conflict, improve communication, resolve underlying issues, address extramarital affairs, as well as help them express and process their thoughts and feelings. She also supports individuals in making positive changes in their lives by providing insight and using practical tools, as well as empowering them to reconnect with their strengths. Ms. Fang’s counselling approach is informed by different models, such as emotion focused therapy, cognitive behavioural therapy, person-centered and narrative therapy, family systems theory and attachment theory. She is fluent in English, Cantonese and Mandarin.